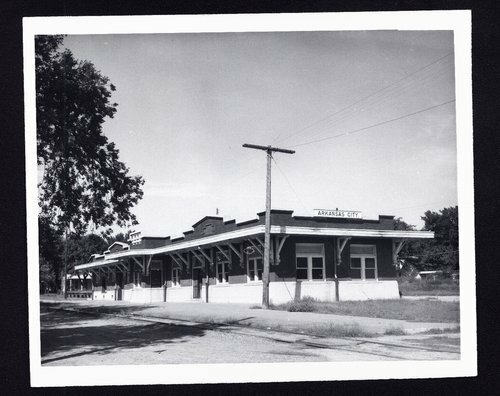 This black and white photograph shows the St. Louis-San Francisco Railway depot at Arkansas City, Kansas. The one-story brick building was part of the Frisco Western Division, Beaumont Sub. Division along the St. Louis-San Francisco rail line on mile post 514.7.